How to run a survey on Facebook: Want to ask the general opinion of people you know about a certain topic? What better way to do it easily and conveniently than by asking it on Facebook. 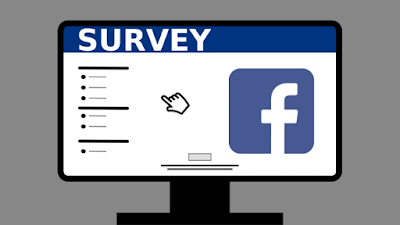 With Facebook, you can create surveys that you could post online on your profile for your friends or other people to answer. Creating surveys is really quick and simple. Type "surveys" in the search box at the top of the screen on Facebook. On the results page, on the left sidebar, click "Apps." This page of results lists all survey applications on Facebook. There's a wide variety of surveys to choose from, as distinct as your own profile page. Click the "View App" button. This button only takes you to a profile page for the application and not directly to the application itself. If you need more information about a survey before taking it, go here first. Click the "Go to App" button. This button takes you to the application itself, while the page you're on provides information about the application, its developer and any reviews or questions about it. Click the "Allow" button to accept the application's request for permission. Pay attention to the rights you're granting to the application before clicking, however. If you're uncomfortable with anything you read, contact the application's publisher for clarification before pressing "Allow." Follow the directions as presented by each survey. When finished, the application offers an opportunity to share the survey and your results with your friends or post to your Facebook wall.